Sorry, this Escea series is not available in the United States. 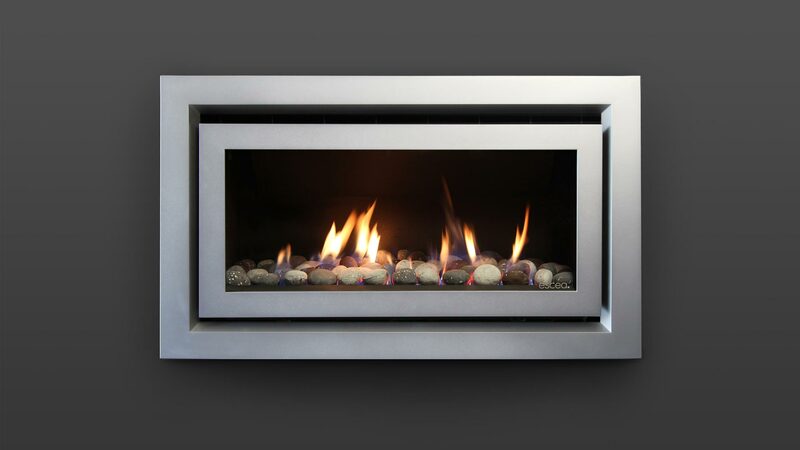 The DL Series combines award winning design with high efficiency - both fires were finalists in the Best Design Awards. These fires deliver heat efficiently but are quieter than other similarly-sized gas fireplaces. These fires work with both modern and traditional decor - the frame within a frame providing a statement detail. The inset fascia allows a more traditional look. Both feature the latest smartphone control and Powered Direct Vent system, and both have a range of fascia and fuel bed options. Generous and grunty, the DL Series combines high heat output with high star rated efficiency to ensure your home is always warm and comfortable. Escea fireplaces are all glass fronted. This not only helps with heat efficiency, it also makes them airtight and safe from fumes. This makes for a dry and healthier home, giving you peace of mind. Escea’s Powered Direct Vent Flue uses efficient fan technology to heat the room but not the flue. 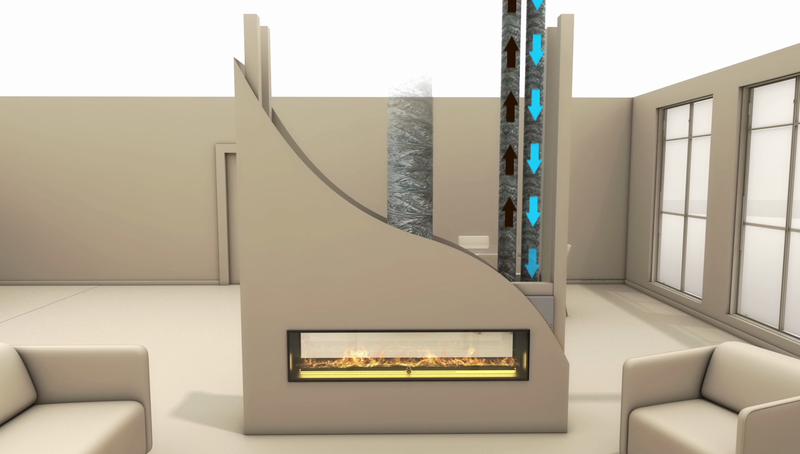 The system also allows the flue to run up, down, and even horizontally - giving you the design flexibility to put your fireplace anywhere. This fireplace has Zero Rated clearance which means the interior wall stays cool enough to handle most materials. There’s no need for expensive fire-rated wall constructions and when it comes to the fireplace surround, you have a wider range of choices. 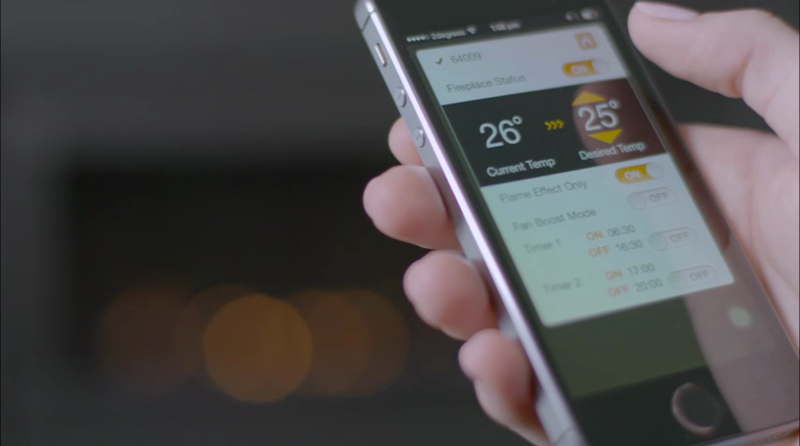 As an extra, you can add a deflector screen to increase the contrast of the flame and to reduce reflections. The screen also makes it more difficult for little fingers or loose clothing to touch the hot glass. 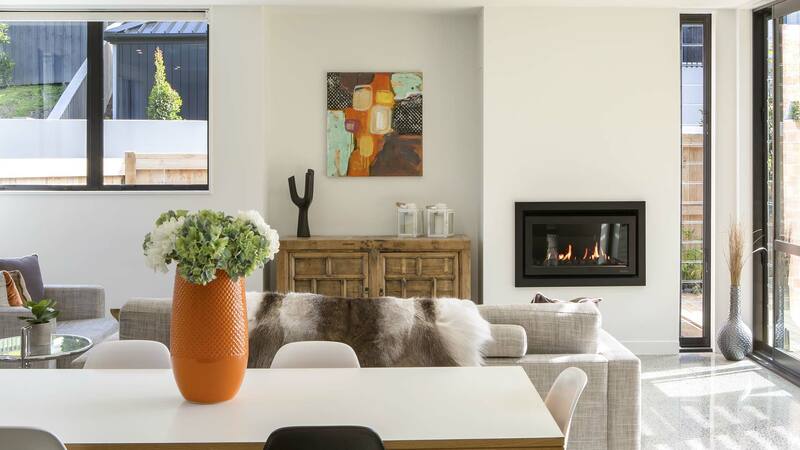 Melbourne-based Interior Consultant Rebecca Shnider talks us through the gorgeous design of her Escea DL850 gas fireplace design. An Auckland architect flips the design and layout of a dated 1960s home on its head, achieving a modern family-friendly home with flexible and enriching spaces. Architects Ink’s design for Plane Tree House, winner of the Institute of Architecture South Australia’s residential architecture award, uses the raw beauty of concrete, timber and glass to complement its natural environment. Auckland architects Lindy and Colin Leuschke have lived in many houses throughout their lives, but their most recent move was into a Ponsonby apartment. Manuals and documents for DL Series fireplaces. If for any reason you cannot find, open or print the information you want, please request the document via our Contact Form and we will email you a copy as soon as we can.